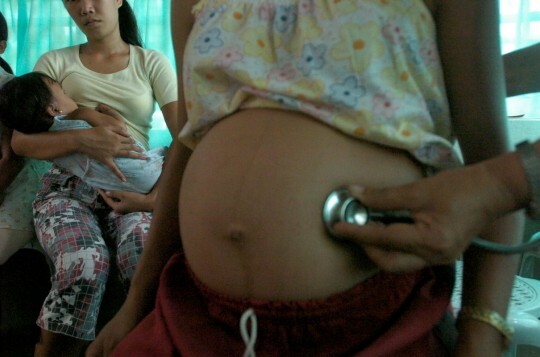 The United Nations Population Fund (UNFPA) has appealed for better access to family planning services to reduce poverty in the Philippines. UNFPA country representative Klaus Beck said that impoverished Filipino families tended to have more children due to lack of knowledge about family planning. “It’s not only a key in reducing poverty, it is central to gender equality and women empowerment,” Mr Beck said. “The right of women and girls to decide freely and for themselves when and how many children to have bring women and girls an opportunity to become great earners,” he added. Lolito Tacardon, Commission on Population (PopCom) deputy executive director, said there were currently 101 million Filipinos, with 60 per cent belonging to the poor and middle classes. With a growth rate of about 1.7 per cent a year, the population is expected to reach 104 million by the end of this year. As we recently reported, the UN has estimated that if left unchecked, the Philippine population could grow to 150 million by 2050. Mr Tacardon said poor couples had an average of five children, unlike rich couples who usually had just two. He added that he considered it “alarming” that poor families registered more births. “We should address the needs of poor families,” he said. The UNFPA said legal challenges against the Reproductive Parenthood and Health Act have prevented the government from fully implementing family planning programmes. “There have been several challenges since the law was passed in 2012. It slowed down implementation in a number of ways,” he added.